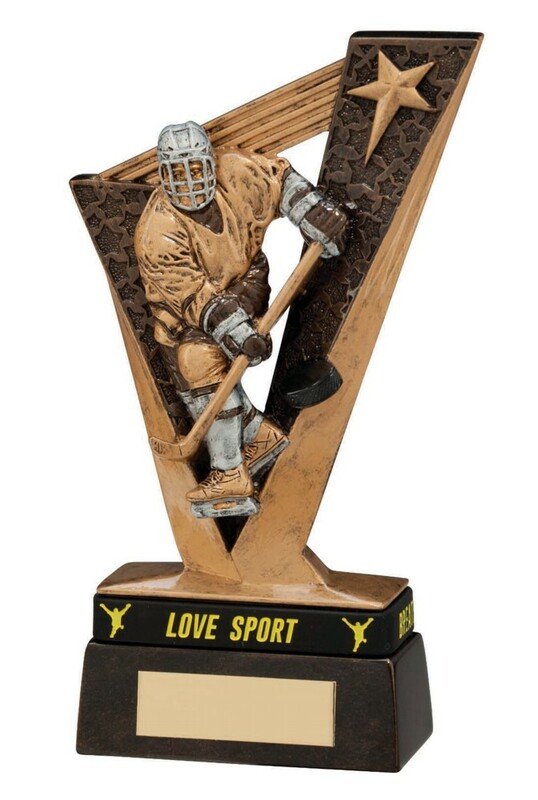 Resin Victory Ice Hockey Player Trophies. Available in 2 sizes, 155mm and 180mm high. Antique bronze with silver and gold detail.